Here is a snippet of the kind words from Richard Marcus in his detailed review of our new title The President and The Provocateur published on BlogCritics.org, The Seattle PI, and Leap in the Dark. “Depending on who you talk to, JFK was killed because of a communist plot hatched by a combination of KGB and Cuban interests or a rightwing conspiracy of anti-segregationists, the Secret Service, the Central Intelligence Agency (CIA) and rightwing members of the military. Of course there are various offshoots of each and even wilder and more outlandish theories to be heard as well. One goes as far as saying Lyndon Johnson and Richard Nixon, the 36th and 37th presidents respectively, were principal movers behind the plot. Trying to the various scenarios straight, let alone judge their credibility, is next to impossible. It’s just too much to sort through on your own. Without some kind of semi-objective overview there’s not even much point in even trying to make sense of it all. “Anyone who has seen one of Cox’s films know he is a great story teller, and this book is no exception. He lays out the history of events leading up to and after the assassinations of JFK and Lee Harvey Oswald in a clear and easy to understand manner. He not only does a remarkable job of bringing the charged political atmosphere of the late 1950s and early 1960s to life on the page, but does his best to be as objective as possible. However, what I found most impressive was how he concluded the book. He doesn’t end by accusing anyone, or even hinting at where the finger should be pointed. What he does say is the American public deserve the truth. Not just the truth about the Kennedy assassination, but the truth about every contentious issue which has ever captivated the public’s imagination. Alex Cox, like most of the American and British public, does not buy into the moth-eaten establishment tale about the regicide. The President and the Provocateur is not the usual conspiracy volume, and is structured almost like the film Rashomon, including varying views of the story with different fonts and sizes. The Kennedy assassination saga has obsessed filmmaker Alex Cox (Repo Man, Sid & Nancy) for most of his life. 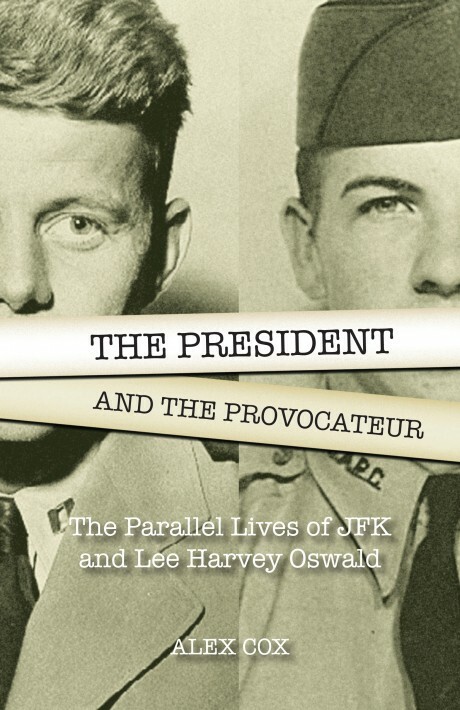 The President and The Provocateur is Cox’s informed meditation on the conspiratorial tale, and as such is an imaginative rendering of the parallel structures of the lives of John F. Kennedy and Lee Harvey Oswald. Cox’s films are available from the renowned distributors Criterion, the BFI, and Microcinema. They include Repo Man, Sid and Nancy, and Walker.